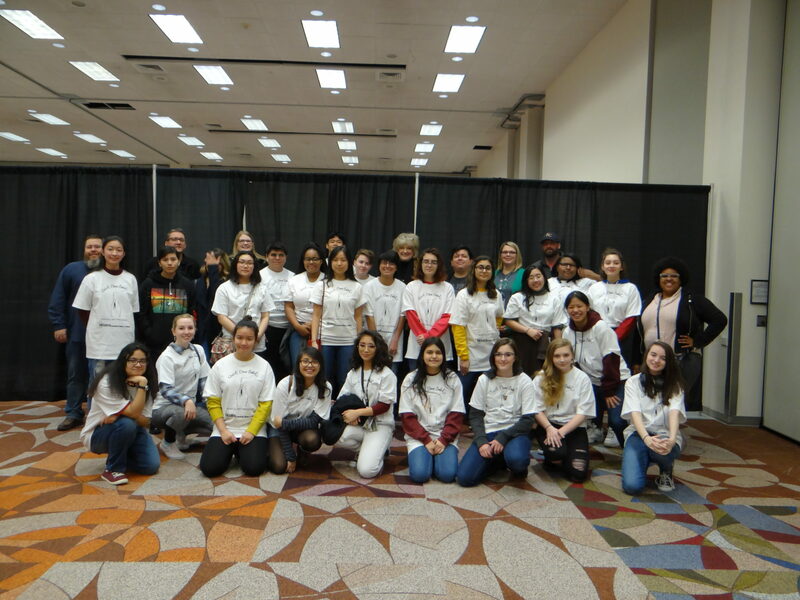 Participants in the Houston Livestock Show and Rodeo Quick Draw Contest consist of junior high and high school students from school districts and private schools that are registered participants in the Houston Livestock Show and Rodeo School Art Program. Contestants compete for cash prizes and the chance to attend a Glassell School of Art Workshop. From over 800 entries, only 26 intermediate school artists receive an invitation to compete in the Junior High Still Life Division, while 52 artists compete in one of two High School Divisions, Portrait, or Full Figure. This year, Klein ISD had a record number of artists invited to compete–twenty high school and five alternates and four intermediate and eight alternates for a total of 37 student artists! The contest was held Saturday, January 19th, at NRG Center. Contestants were given an 11-inch-by-14-inch piece of paper to sketch their masterpiece in just 50 minutes. Klein ISD students rounded up four of the thirteen cash prizes. Kim Nguyen, from Klein Intermediate, received the 3rd place $200 award in the Junior High Still Life Division. Medha Fotedar, from Schindewolf Intermediate was the Junior High Quick Draw Champion and received $500. Marielle Morris, from Klein High, earned 3rd place, $250 in the Full Figure Class. Payne Stiegman, from Klein Oak, received the Portrait Class Champion $750 award. Congratulations to these awesome, talented students and their equally awesome art teachers!